Something that can only be called a gift of god but bestowed by humans too in life threatening situations, the blood components make up an extraordinary story. Everybody in general and doctors and surgeons in particular need to understand the blood processes. Emergency treatment often requires blood transfusions and the right type of matching blood may be lacking. Blood banks do maintain quotas of the precious liability. Hemoglobin is the chief constituent. Several diseases arise like anemia that is the reduced hemoglobin in the blood as a result of which enough oxygen supply does not reach the body. Polycythemia is the result when hemoglobin is very high and blood clots easily and may result in a stroke. Blood infections could arise and may require antibiotics. Besides, the blood can carry disease like HIV. Probably everybody is aware of the constituents of that precious fluid that perpetually circulates our veins and arteries. We learnt them in school. Blood components are a mere four in number that appears simple enough but still waters can be far reaching indeed. Also called erythrocytes or hemoglobin, red blood cells that impart the distinctive color constitute as much as 40% of the blood mass. The hemoglobin protein brings the redness and that is why blood can carry the life supporting oxygen that we inhale through the nose and distribute via the lungs. In fact RBCs can carry carbon dioxide too. So RBCs carry oxygen from the lungs and bring carbon dioxide back to the lungs to be exhaled. Oxygen brings energy and carbon dioxide is the waste material. Also called leukocytes, white blood cells come next in the list of blood components. Leucopenia indicates the phenomenon of very low WBCs that raises the greater possibility of infections. Leukocytosis on the other hand means excessive WBCs that may indicate the presence of infection. Leukemia or cancers in the bone marrow could be another possibility. We should be grateful to leukocytes that are far fewer than their red brethren but protect the body against infection. Further, WBCs are found in five different kinds with appropriate functions. The most abundant are neutrophils that protect through the ingestion of bacteria and alien debris. Next come lymphocytes in three types. The T cells and natural killer cells both protect against viral infections. They detect and destroy cancer cells too. B cells produce antibodies. They are also referred to as T lymphocytes and B lymphocytes. To continue with the list of blood components, monocytes continue the task of defense against infections. have the ability to kills cancerous cells and respond to allergies. Basophils like eosinophils respond to allergic conditions. We have seen that all the six constituents of WBC have some role in protecting the body and responding to attacks of various kinds. Some WBCs flow in the bloodstream while others stick to the walls and enter tissues. When an infection occurs, WBCs reach the site and attract more WBCs. How do the WBCs really work? They digest the harmful organisms and produce antibodies too like a miniature commando operation. Half the blood volume and principally containing water, plasma is the liquid like substance that holds RBS, WBCs and platelets. Albumin is the protein that binds blood and prevents leakage. Albumin carries hormones and some drugs too. Plasma also contains electrolytes and antibodies that fight against virus, bacteria, fungi and clotting that concerns bleeding. Blood components are truly versatile and plasma serves other functions, absorbing water and restoring water in tissues as required. Plasma maintains blood pressure and regulates body temperature, supplying heat to the arms and the extremities. Have you heard of thrombocytes, the platelets that are smaller, fewer that help in the clotting process when bleeding takes place? The idea of blood donation for the humanitarian propose of saving lives has become part of our inherited culture. Besides, it takes little effort to donate a pint of blood with no associated health risk for the donor. Yet routine procedures exist to screen for possible diseases the blood may carry and transmit to the recipient like HIV and viral hepatitis but chances of infection are very slim indeed. 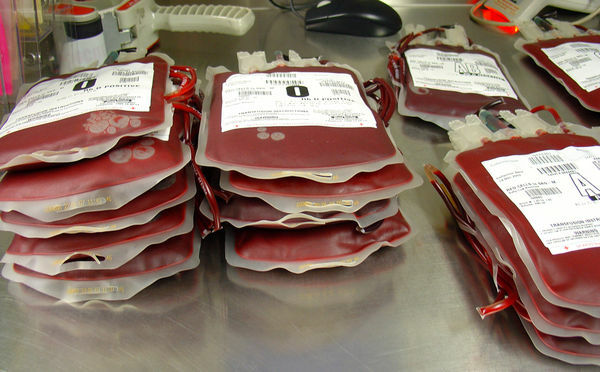 Why are we so much attracted to the blood and its transfusion to save lives? Well, blood is the very stuff of life and we would not be living otherwise. In spite of so many synthetic this and that, no technology could succeed in replacing that precious component that makes up 8% of the body. So you have decided to donate blood like everybody else? A noble thought no doubt and quite achievable in fact once in 56 days if it is whole blood, more often if it concerns platelets and plasma alone, maybe 7 days. To consider that each donation could save three lives is quite an encouragement especially when traffic accidents and disease take a heavy toll on human lives each day. If we were to consider world figures, that would be a large number of lives lost each day. Besides, blood donation does not result in a very long shelf life for the blood and supplies need to be replenished with a steady stream of donors. What would happen during war or a natural disaster? Blood banks have taken the responsibility of ensuring that supply as best they can. Potential donors do register online and mention their blood groups so that they can be summoned in an emergency. William Harvey and Karl Landsteiner made it all possible, the former in 1628 discovering the circulation of blood and the latter that discovered blood groups in 1901. Blood donation today has become a shared duty. “Safe blood for saving mothers” was the profound message for World Blood Donor Day on 14 June 2014. One wonders if the blood you donate is essentially paid for if it is all that valuable a resource that can bring life to the dying. While it would seem that a majority of donors do not receive compensation especially in the developed countries, some countries do follow a procedure of granting remuneration. And why not if it is a third world country where incomes are scarce and a section of the society does not know where the next meal would come from? Besides the danger that the donated bloods mighty carry potential disease, the health of the donor needs to be considered. The donor should be feeling well and in good condition. Temperature, blood pressure and pulse would be checked. 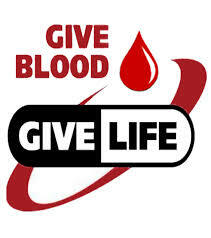 Otherwise there is no cause to worry regarding the simple and safe process of blood donation. Just like in the process of injections, a sterile needle would be used and then discarded. How long would the process take? Maybe ten minutes and then you say goodbye to the blood donation center. There is no need for worry concerning your own blood stock either. Consider the fact that an average body contains 10 pints of blood. The usual blood donation consists of one pint. The blood manufacturing process is constantly taking place in the body and so the pint gets replenished somewhat like the growth of hair and nails. The donated blood is screened for disease after which it is stored in the blood bank if not immediately used to save human life. Emergency needs sometimes arise but the blood groups should match. Make it your life vision to save lives. Lets know about benefits of donating blood! We all know giving blood can save a life. If you’re up for doing a good deed, donating blood is a phenomenal choice. Since blood cannot be manufactured artificially, there is no perfect substitute for blood. Moreover more than 41,000 blood donations are needed each day, therefore generous blood donation is the only possible solution.. It is not only beneficial to those at the receiving end, but it has health benefits for donors too. One whole blood donation, which takes approximately 45 minutes to an hour, can rescue as many as three patients. Surprisingly the topic – ‘Blood Donation benefits’ is discussed rarely. Here are some of the benefits the donor gains from this humanitarian deed apart from getting the joy of saving human life. It is such a wonderful feeling to be able to help doctors in saving lives. Getting a glimpse into one’s health is a free token of blood donation benefits. Blood can be donated only if fitness is good enough to do so. Before every blood donation process, a series of health checkups are performed on the donor. Donors are tested for 13 infectious diseases like HIV, hepatitis B and C, West Nile Virus, and syphilis free of cost along with blood pressure, pulse and hemoglobin. Donating blood is certainly not a replacement for medical care. Carrying along with it is a prior health screening, which is of great significance in case of any health risk- in the form of an undiagnosed disease in its first stage. Did you know that the risk of heart disease can be reduced and at the same time a life can be saved? That’s right! According to latest research there are 88% less chance of a blood donor to suffer a heart attack. They are also 33% less likely to suffer any type of cardiovascular event. Blood donation benefits are therefore correctly flagged with reduced risk of heart diseases. Blood donation helps in keeping body’s iron stores in check, especially in males, thus reducing risks of heart diseases. Though iron is an essential element for the proper functioning of the body, excessive iron is responsible for the excessive oxidative damage. Oxidative damage is the major culprit in accelerated ageing, heart attacks, strokes, etc. The removal of iron (oxidative) from the body through blood donations means less iron oxidation and reduced cardiovascular diseases. Before going to the next benefit of blood donation, a look into what exactly is meant by oxidative damage .We all know the blood viscosity is regarded as a unifying factor in the risk of cardiovascular diseases. More thick and sticky the blood is, more friction it (blood) creates while passing through the blood vessels and that much more would be the damage done to the cells lining the arteries. Blood viscosity can be reduced by donating blood on a regular basis. Blood donation eliminates excess iron, which on oxidation increases blood viscosity. Another side effect included in the category-‘blood donation benefits’ is that it can burn a large number of calories. After donating blood, the body replaces all of the blood volume within 48 hours, and all the red blood cells within four to eight weeks. People burn approximately 650 calories per donation. 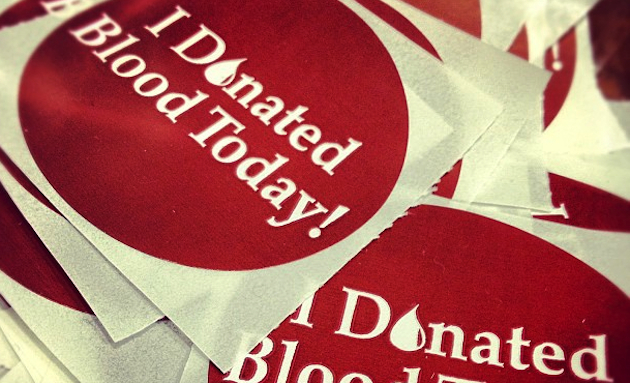 And now even more awesome news that blood donation reduces the risk of cancer. What else can a’ blood donation benefits’ campaign expect other than a degree as a cancer savior. Researchers in America have found a direct link between high iron levels in the body and cancer. Researchers followed 1,200 people split into groups. One group reduced their iron stores by blood donations twice a year, whereas the other group did not make any changes. The results of their study showed a lower risk of cancer and mortality in the group of blood donors. With every two seconds, someone somewhere requiring blood thus making a total of 44,000 as blood donation demand every day, it’s time to roll up our sleeve and save a life – including ours.